Nuclear power pants is a perfect solution for heroes who need high energy for their questing journey. These high technology pants lower the heroes waste although the excreted waste might be highly dangerous as it has side effects. 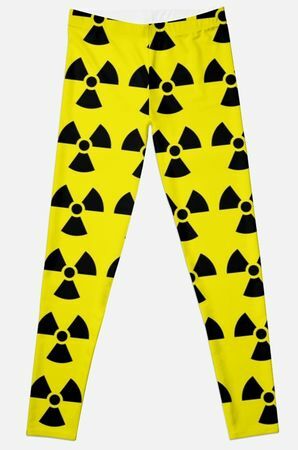 Nuclear power pants rely on the heroes' core to power the pants. This results in very high-powered pants, although it is not commonly used by heroes due to its side effects and its strict regulations. Godville's nuclear pact between towns regulate its sales among traders to avoid disaster and reduce its potential waste. It is reported that due to the reckless nature of heroes in Godville, Gods often find their champion lying dead after a long unsupervised journey caused by nuclear failure during fight with monsters which are able to exploit the pants' weaknesses. Heroes are required to bring a Geiger Counter during their journey. Please dispose of the waste through digging a hole with the minimum depth of 20 meters. Ensure flow of cold water inside pants to prevent meltdown of the heroes' core. In the event of nuclear meltdown, please avoid getting closer to towns, repent your sins and seek further advice from your Gods and Goddesses. This page was last edited on 14 February 2019, at 17:44.